It’s time for the community to have a serious conversation about housing reform. 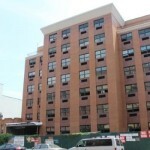 We have a problem in the community today; and that is a major shortage of affordable housing. I am a single man and Crown Heights has been my home for just over four years. I’ve known many families and I keep hearing about the same problems, struggles and stress over and over again. Rent is becoming a problem. One day I hope to live here with a family, but that reality is becoming more and more difficult. Look around you. Left right and center. Look at the people sitting next to you in shul. You know people are suffering. Bills are high. Wages are down or not going up. How many people reading this have had to make the decision between paying rent or paying medical bills; between paying rent or paying your child’s tuition? How many of you are behind on at least one payment? How many of you are on public assistance for rent or food or healthcare? You may feel judged for this, but you do what you have to do. But what if you didn’t have to do it? We are facing a crisis. That crisis is that rents are going up and up. How many families have left Crown Heights because they simply can no longer afford to raise their children in the neighborhood they grew up in; in the Rebbe’s Shcuna? There is a housing boom going on in Crown Heights, but many of those developments are not only high-priced, but unsuitable for families. They’re often small, with only one or two bedrooms. And with kitchens that cannot handle a decent shabbos meal. Single professionals with disposable income can afford to split rent with other single professionals. They don’t always need kitchens (other than a microwave) because they’re more likely to eat out. This is setting a competitive disadvantage for families; some of them trying to survive on single incomes. Families are being left behind. Let’s say three friends in their twenties/thirties come together with an average, monthly, take-home income of $4,000 each. If they contribute ¼ of their income, they can easily afford $3K per month apartment. This helps adjust the market to that price. Even a family with two incomes, is going to have a hard time meeting that market price; with most of their household being non-rent paying children, they’re going to have to devote more income to that cost. Then on top of that, they have to pay for, food, tuition, daycare, healthcare, clothing and more. In addition to that, working families are less likely to have cash on hand for the other costs of moving into new housing such as first and last months’ rent, security deposit, and broker fees. I have nothing against any of my fellow young and (hopefully soon-to-be not) singles in our neighborhood. But the game has been tilted in our favor. They have an advantage in acquiring housing; and also have far less to lose if their housing options fall through. Furthermore, these singles will face an uphill battle once they decide to start having families. Up till now you have been told that there is nothing to be done about this; that the rents will go up. Not true. You have the power to influence what happens next. If the community unites over this pressing cause, there will be power to enact real change. If housing becomes more affordable, everybody wins. Families have more room to save, and invest in their children. Schools will be better off. Parents who have had a hard time spreading all the money around will be able to pay more in tuition. Even local businesses should see some growth when neighborhood shoppers have some extra cash in their pockets. But there needs to be action. No one thing is going to fix the problem. It must be the will of the people. And that will must be turned into words and action. There are many things that can be done to help, but right now there is one in particular. 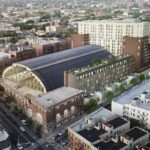 Right now there is a plan to sell the Armory building on Bedford and Union to private developers who would turn it into mostly luxury apartments. This plan will is not good for working families. If any new housing is to be built, it must be affordable and family-friendly. That means multiple bedrooms, kitchens made for cooking. ; and shabbas-friendly facilities. I’m sure we all have nothing against the developer. He may be a nice guy, but there will be plenty of opportunities for developers to put high-rises and coops on private land. This land is literally your land and you have a say in how it’s used. There will be limited opportunities for development of this type in the future. 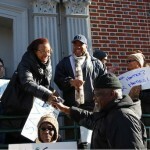 Demand that it be used for the betterment of your community. I hope that we start a conversation in this community about our values. We all value families and economics are at the heart of family function. This should be an issue that goes beyond politics or religious differences. What can you do? For starters call your Government Representatives and encourage them to do the right thing. City council Call Laurie Crumbo 718-260-9191 and demand that the Bedford Union Armory project be exclusively used for affordable family housing. Call State Senator Jesse Hamilton, who has a great relationship with the Jewish community, and tell him about your concerns: Brooklyn Office numbers (718)-284-4700, (718) 467-4161. Albany Office number 518-455-2431. A suggested script. Prepare this for when you call. Inserting personal information where it says so. This is only one battle. Win or lose, There will be more. The need for housing will only increase. But you and I have the ability to make change which will improve the quality of lives. This is 100 percent true. Did the rebbe want crown heights to be for millionaires alone? Buying and renting here is disastrous. How come there no representatives doing something? Its because they all own their houses. Lamdlords are shooting themselves in the foot. 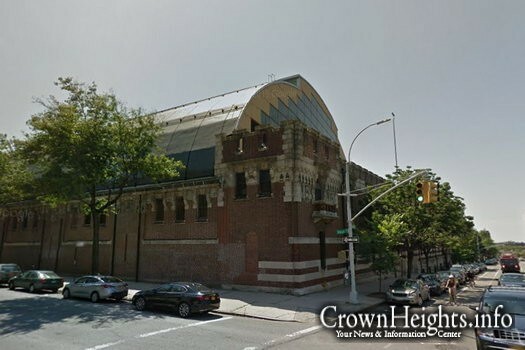 Keep lubavitchers in crown h e i heights. Thanks for the constructive article with practical steps we can take. I hope to call tomorrow. Too far away. The streets between the armory and where Anash live are dangerous. Not for young families with children. If you think that after many many years of disagreements and fight the community can get together for this your in dream land! We don’t have it in our blood! If we were based out of Manhattan would you talk the same way or would it already hit you in the head that it’s time to MOVE elsewhere?!? Yasher koach for writing this, the Rebbe said that CH needed affordable housing and we can help anash by contacting our representatives. They work for us! We need affordable housing with 3 to 5 bedrooms, and kitchens large enough for 2 sinks etc. All the units in the area so far are not suitable for sizable Jewish families. So does כי פתוח תפתח את ידך לו, and והחזקת בו, and so forth. So? We live according to Torah, not according to (lehavdil) Ayn Rand. i moved out. just too expensive for me. live in a nice place that i can afford. Sorry, I believe that this article, though very well-intentioned, is a brochoh levatoloh. NYC has seen horrible times; now it is on the rise again. Asking landlords to buck the trend of rising rents is not realistic. (I live out-of-town and I am completely not noygayah bedovor in any manner). What is realistic is that people may have to move elsewhere to have normal, sustainable living. Everything comes with its pros and cons. There are some real pros to living outside CH & NY. Look into it. You might be surprised at what you find. The OU’s Jewish Communities Home and Job Relocation Fair, now in its sixth year offers information and resources to families and individuals wishing to improve their quality of life by relocating to affordable Jewish Communities that offer professional opportunities. This year’s event, in partnership with OU Israel and Nefesh B’Nefesh, will take place on Sunday, April 30, 2017 at the Metropolitan Pavilion , (125 West 18th Street, New York, NY 10011 ). The fair promises to be the largest ever in both community participation and attendance with over fifty communities representing the United States and Israel and an expected participation of over 2,000 individuals, couples and families. Register in advance for a discounted parking voucher, an event tote and a chance to win an iPad! One of two things must happen. Or 2) the rebbe must give a brocha to each member of the community to be successful and to be tremendously physically wealthy so we could afford to pay current market rates. Even if every single goy moved out of crown heights, there would be a housing problem again. You said why in your op-ed. It’s the “Rebbes community” and you feel obligated to live there. So do most crown heighters. And then most families have 5-8 kids… whom grow up and feel obligated to live there. A 15 block radius cannot house everyone. It’s logistically impossible. As the number of apartments filled goes up, prices go up because someone will offer the landlord a few bucks extra when there is competition. Food prices will also go up, everything goes up because there is much more demand for it. The reality is that people NEED to move out of crown heights. Visit often, but it cannot keep growing. At some point, there won’t be room. It’s bursting at the seems as is. That is also why apartments are getting smaller, they’re trying to make more in the limited space that there is. As for needing a bigger kitchen- I’ve put a beautiful shabbos meal on my families table every week while we lived in an apartment with exactly four inches of counter space, one sink. It’s doable.